As people were celebrating Christmas Day 1989, the mass murderer and former Romania dictator Nicolae Ceausescu was bound and shot dead by a firing squad after being tried and convicted of economic sabotage and genocide. A decade before his execution, 60-year-old Ceausescu, and wife Elena, were firmly rooted among the politic elite and in 1978 enjoyed a state visit to Britain. The couple strolled around Buckingham Palace gardens and revelled in photo opportunities with Queen Elizabeth II and the Duke of Edinburgh. However, even at the time, the Communist leader’s visit was controversial, and the absence of social media meant all protests about his despotic deeds, had to be in person in order to be heard. Similar demonstrations punctuated UK visits of Zimbabwe President Robert Mugabe, as well as Vladimir Putin, Japan’s Emperor Hirohito and other unpopular international figureheads. When Donald Trump arrived on Thursday, Twitter, and the internet, amplified the condemnation felt by critics much more effortlessly – see the petition, Prevent Donald Trump from making a State Visit to the United Kingdom, which gathered 1,863,708 signatures. 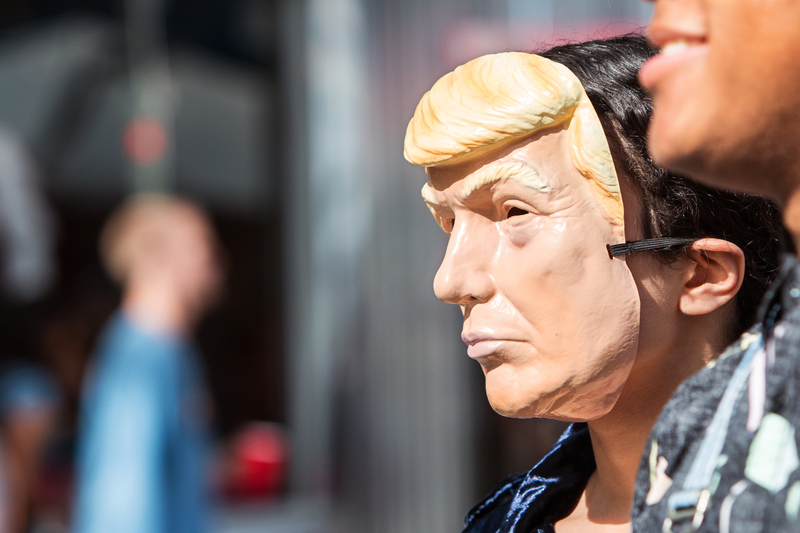 On the street of London, crowds of tens-of-thousands were expected, with some figures quoting 100,000, and even 250,000 people – as well as the 20ft inflatable baby Trump – but the US President’s fleeting appointment in the capital means he was unlikely to come face-to-face with many of them. One of the objections for protestors is the £5m bill the Government will foot to accommodate the American President and his entourage, and a golfing trip to Scotland, and policing and security. It is by far the largest amount spent on a state or working visit in recent years. Next largest, is the cost of Chinese President Xi Jinping’s state visit in October 2015, at £324,791, which featured clashes between human rights protesters and Chinese supporters. So why spend so much on such unpopular leaders, some of whom demonstrators regard as tyrants, dictators, despots, genocidal zealots and war criminals? In the case of the United States – it is a very important historical ally and more importantly a major trading partner, with whom the UK imports and exports around $10b worth of goods each month. Given the very distinct possibility of a hard Brexit, the UK may face immediate higher prices as a result of supply chain reorganization shortages for some imports and be hit by export tariffs, effectively making our goods more expensive in Europe. The increased uncertainty of our short to medium term trading position – especially given the resignation of both Boris Johnson and David Davis – is heightened by Trump’s import tariffs to the and consequently by the reciprocal actions by those affected such as China, Canada and the EU. Having friends is a good thing, but Trump is creating enemies abroad in order to maintain his domestic ratings. Putting the US first is part of his established message that strikes at the heart of the US post the financial crisis. The $34b trade war has commenced against China which will mean 25% tariffs on Chinese products – about 800 of them – including mostly manufactured industrial goods from general machinery to aerospace, IT and Robotics. China is likely to respond with a similar level of Tariffs mostly on foods imported from the States – again not to be outshone Trump has promised to raise the stakes further with an additional $16bn. Short term tariffs may spark some weird swings and benefits – US growth is up, and unemployment is down – but the impact needs to be assessed on the long-term – some argue a 2% drop in world economic growth if we factor in the earlier levies on steel and aluminium hitting Mexico, the EU and Canada, but ultimately the US economy could take a 5% hit on growth. President Trump responds well to honest face to face discussion – as long as he can be ‘seen to win’ in the media. Let’s hope a little British diplomacy and a quiet round or two of golf can calm his radical behaviour – £5million would be a cheap price to pay.